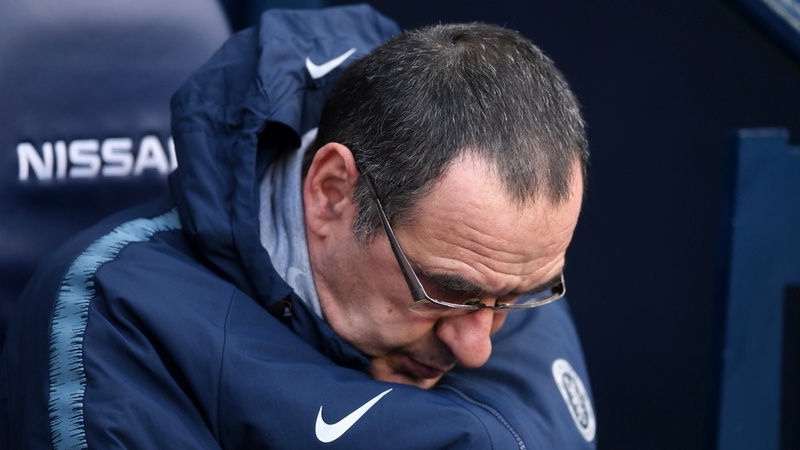 Maurizio Sarri’s reputation took another damaging blow less than two weeks on from the dreadful 4-0 defeat at Bournemouth with the Italian’s team ruthlessly sliced apart at the Etihad Stadium. 1 – This was the first time a Sarri side has conceded more than four goals in a match, and marked his heaviest ever league defeat as a head coach. 4 – Chelsea have shipped a minimum of four goals in consecutive away league games for the first time since December 1990. 6 – The Londoners conceded six goals in a Premier League match for the first time in their history. This was also their heaviest hiding in all competitions since April 1991. 7 – The Blues are winless in their last seven league away games against ‘Big Six’ teams, and have lost the last five in a row. 13 – Only embattled Fulham have given up more Premier League goals in 2019 (15) than Chelsea’s 13.